For the past 40 years at Gustavus, the name “Wilkinson” has been synonymous with “tennis.” Steve Wilkinson that is. Wilkinson’s achieved the status of winningest coach in men’s tennis collegiate history with his team’s overall record of 929-279 (.768) and a Minnesota Intercollegiate Athletic Conference (MIAC) mark of 334-1 (.997). 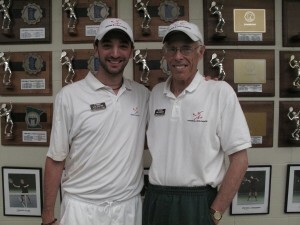 He is also the founder of the Tennis and Life Camps (TLC)—the largest tennis camp in one location in the country. But it isn’t just the trophies on the wall or the incredible statistics that define Wilkinson—in fact they are merely a small part of what makes up this remarkable campus figure. Talk to anyone who’s spent at least 10 minutes with him, and you’ll see how no article could ever convey the impact or the presence he’s had on the lives of generations of Gusties. Dedication to the school’s core values, international education, and teaching students to make the most of both their time at Gustavus and their lives outside of school makes up the core of Wilkinson’s Gustavus experience. Arriving at Gustavus as a religion professor in 1970, Wilkinson was asked during his interview if he would be willing to voluntarily coach the tennis team. Keeping with his hallmark positive attitude, Wilkinson took the extra challenge in stride. 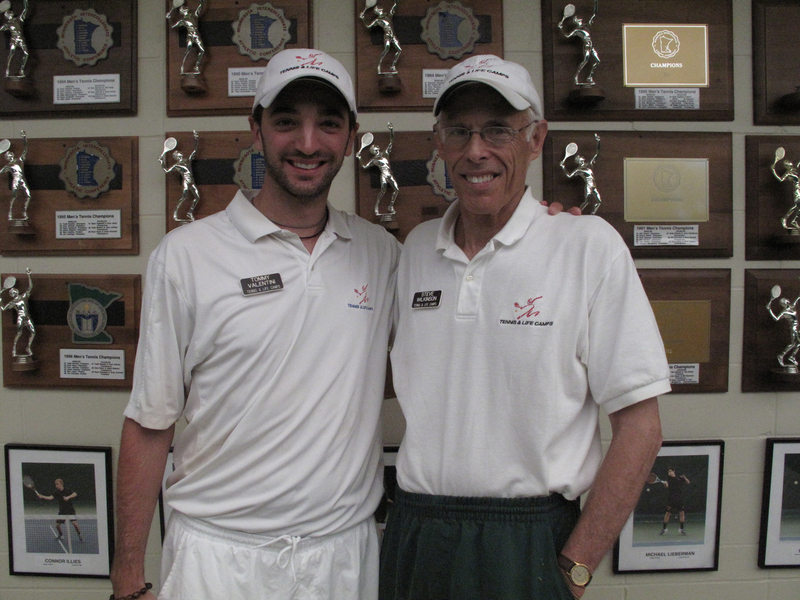 For seven years, he taught religion courses and was the volunteer head tennis coach. While most know Wilkinson for his time on the court, he also made his mark in the academic arena. “When I taught a course in World Religion, I found a place in Japan with which we could partner to form Gustavus’s Japanese studies program. In the first two years of the program, we sent 42 students to Japan to study. I feel that a commitment to international education is an important ingredient,” says Wilkinson. Even a diagnosis of kidney cancer cannot slow down Wilkinson. “The first thing he said when he found out his diagnosis was ‘I’ve found a way to live the Serenity Prayer in a whole new way.’ He is no victim, but just a person that lives with it—he simply sees it as what he has been dealt,” says Neal Hagberg ’81, musician, assistant director of TLC, and friend of Wilkinson. Hagberg also speaks about how he feels Wilkinson has accomplished his high level of success. “He is perhaps the single most focused individual I have ever met in my life, and I would say also one of the greatest visionaries in terms of how he believes this world can operate in a way that is better for everyone,” says Hagberg. One of the most defining Gustavus Wilkinson legacies is Tennis and Life. Throughout the summer months on the hill, it is a familiar sight to witness people of all ages walking toward the Swanson Tennis Center equipped with their rackets. With approximately 1,700 participants each summer, this is one important program that has a huge impact on the Gustavus campus. “We have a unique relationship with the College,” says Wilkinson. 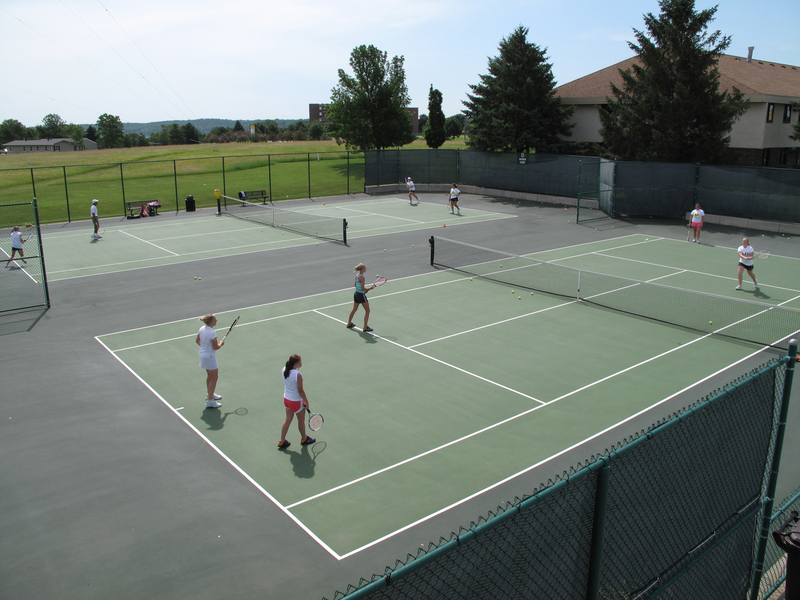 Many students have discovered Gustavus through Tennis and Life—even those that did not necessarily continue their tennis playing once they arrived on the hill for an undergraduate education. Even someone who has no tennis experience can feel inspired to pick up a racket by just walking through the TLC courts. Constant positive feedback to participants, fun skits about teamwork and attitude, and rackets bedecked with smiley faces lend an atmosphere of support, sportsmanship, and respect. “The specifics are what make this camp unique,” says Hagberg. “We have a lot of individualized attention. We have all the staff members greet the campers when they arrive and we carry in their luggage for them. We learn everyone’s names, and sit with them at meals. We put on variety shows, and hold the door open when campers come in from practice. We write thank-you notes, notes about why campers are important, and at the end, carry out the luggage.” The camp also has morning reflection time; a way for campers to consider what brings them together. But it isn’t just the details of this camp that make it unique. The founding story behind it is inspirational and distinctive. Steve Wilkinson tells the story: “There was a Gustavus student by the name of Karen Gibbs. (She is the only student at Gustavus to have a building named after her—Gibbs Residential Hall.) She was the number one player her first year. Then she got cancer, and she lost part of her right arm. 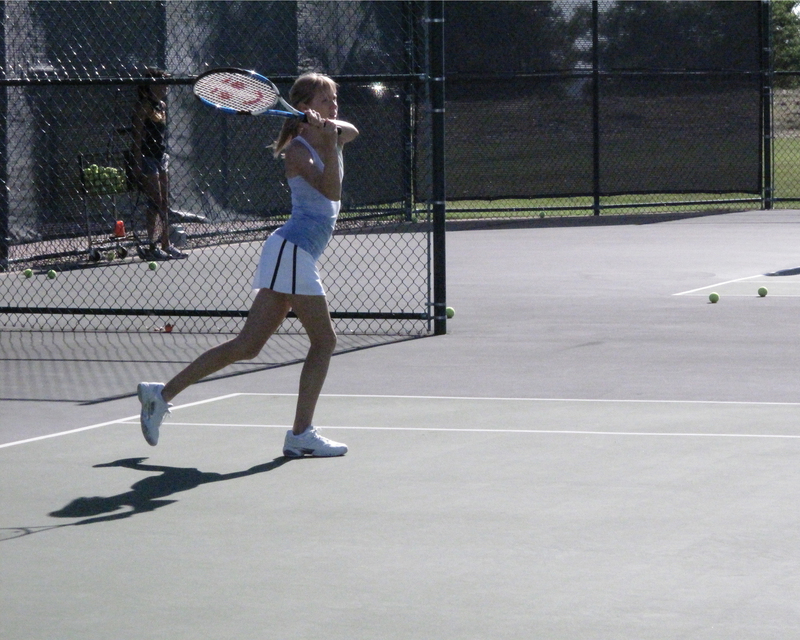 Instead of giving up, she learned to play with her left arm, and at our game against U of M, she won her match in #3 doubles. Then she lost 50 pounds and her hair, and had shoulder surgery, but she still kept a positive attitude. She was always so positive—she made the choice to be a good sport. She died between her junior and senior year—1977, which was the first year of the Tennis and Life Camps. With a name like Tennis and Life, participants know there is more to this overnight camp than just athletics. Wilkinson explains the Life portion of the camp: “We’ve been able to give new meaning to the three crowns Gustavus symbol. The first crown symbolizes that you have the choice to be positive, no matter what the situation. You should focus on the things that are in your control, and let go of the things that are not in your control. Such as when you compete, whether you win or not isn’t in your control, just as your final grade isn’t in your control—what you can have control over is your attitude. “The second crown is commitment to give your full effort. Don’t just blow off a course, but give it your all—regardless of the grade you will receive. You don’t quit—even when you are down 6-0, 5-0 in a match. It is impossible to know just how many people Steve Wilkinson has impacted, but it is clear that he has changed the world for the better. “How do you describe it . . . he’s been a coach and teacher and mentor and parent in a lot of ways and a really, really, dear friend. It’s been a life-changing experience to be around him every day, learning his values and watching him live them,” says Valentini. Really great article Hanna! I loved how you delved into TLC and how Wilk was a crucial influence on really making the “LIFE” part of the camp such a special element to what TLC at Gustavus offers to young tennis players. I got a chance to meet Wilk this last winter and what you say about him as a person in this article really rings true to who he is and what he stands for. It was nice to learn even more about him. Would you please email detailed information about Tennis/Life camp for this summer 2011.